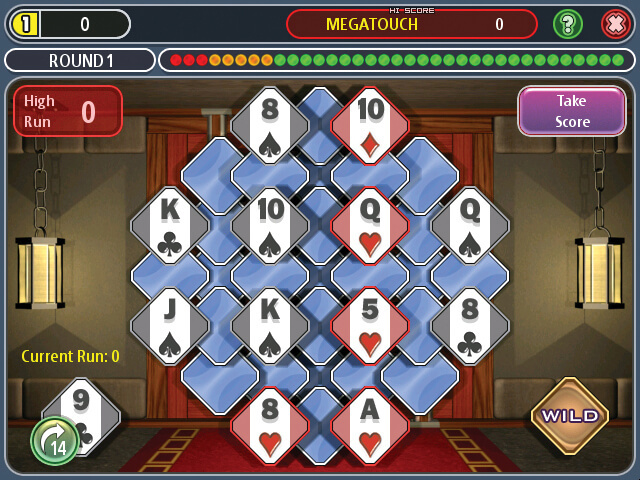 Touch any top-level card on the board that is one higher or one lower than the card shown on your stack. Play as many cards as possible to continue the sequence. Flip the next deck card when the sequence cannot be continued. Use the WILD card as needed. High score takes you to the bonus round. Clear the board to open the safe and win!